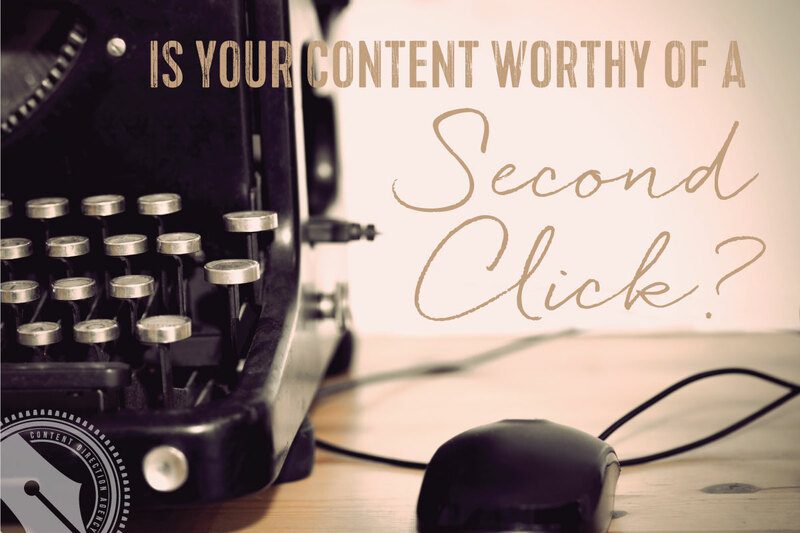 Are you writing for the click or the conversion? I think having the confidence to be able to say we want to connect with our audience in order to make money (at least in part) is hard for a lot of women. We’re “conditioned” to be helpful, form communities and be supportive – sometimes making money seems like such a harsh thing to say we want to do – doesn’t seem “nice”. Fortunately, I’ve gotten over my need to be nice all the time 😉 I can help and support a lot more women when I’m not worrying about how to pay the mortgage or keep the lights on. Go for the conversion, or at least the conversation that leads to the conversion that leads to the sale. It’s like the flight attendants always tell us when we fly – Put that oxygen mask on yourself first! Can’t help anyone else until you take care of yourself. Excellent point, Penny! I think some women are even afraid to ask for the email address! But you don’t help anyone if people don’t know how you can help them — you have to tell them! Awesome post, Lacy! I love the way you framed it. Yes, it’s all about thinking past the click and moving toward the conversion. But, I’d challenge you to push beyond that. As Peep Laja, my CRO mentor, always says it’s about lifting the bottom line not just conversions. You can get an uptick in conversions but not necessarily to your bottom line. I’ve seen this optimizing websites where the end of the sales funnel gets neglected. Just more food for thought. Thanks Jen! That’s a great point. You MUST know what your ultimate goal is when it comes to blogging and content marketing; if the ultimate goal is sales, then getting the email opt-in is only the first step!